« Yoga of Voice & Vibration : Free Your Voice! 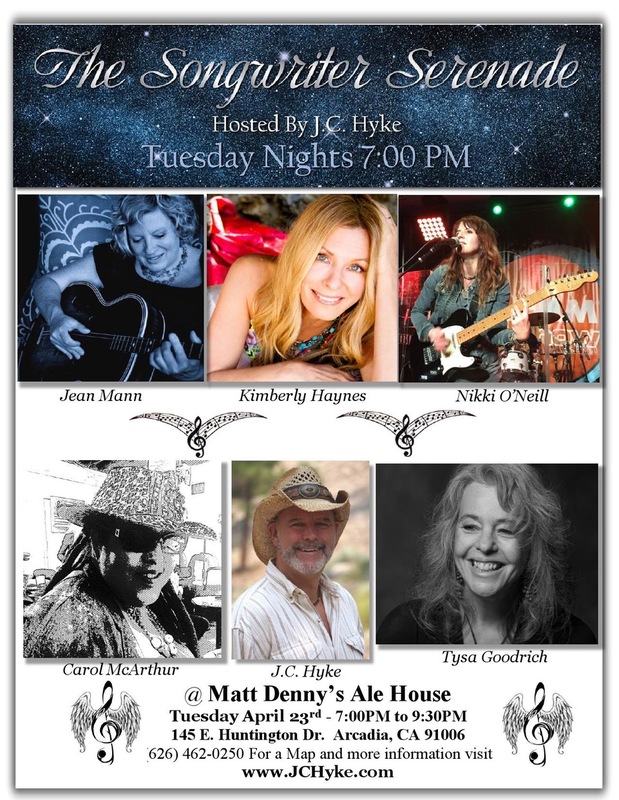 JC Hyke’s Songwriter Serenade has been featured every Tuesday for 8 years and had over 440 artists on the show! Performers play their original songs for the audience on a lovely patio with a warm, inviting atmosphere and a cool vibe. There are all styles and genres of music, with 4 or 5 different songwriters each week. The music is on a covered patio with plenty of heaters for a warm, cozy evening during the winter. During the summer, we pull back the canvas roof and play under the stars.